for information on renting business units on Hawes Business Park. The Upper Dales Community Partnership (UDCP) is to taking over the operation of the Dale Head Garage in Hawes from the beginning of November. We are taking this pioneering step because the current operators have decided, after serving the community with commendable commitment and unfailing reliability these last 6 years, to concentrate on their other business ventures. This will make it the first community-run filling station in England. No fewer than 19 rural filling stations have closed in the last 3 years in Yorkshire, many falling prey to housing developers. 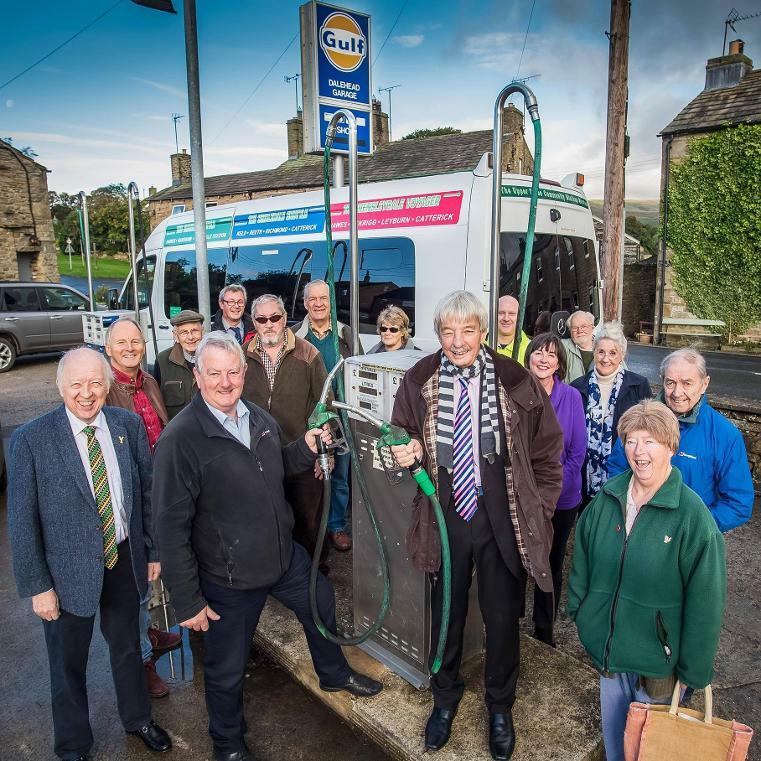 We at the UDCP know that keeping available a 7 day a week supply of petrol and diesel in Hawes is an absolutely essential service for our local community – in the same way as we took on the Hawes Post Office when it was threatened with closure in 2014. The opening hours of Dale Head Garage will remain the same as now, so we will be open 7 days a week throughout the winter (9.00-18.00 Mon-Fri / 9.00-17.00 Sat-Sun). We will continue to offer a Jet Car Wash and an air pump for tyres, and in time we hope to install a 24/7 card operated fuel pump and a public electric car charging point. We look forward to providing our services to you at Dale Head Garage in Hawes, and your continued custom. for information on all our Community Transport services.